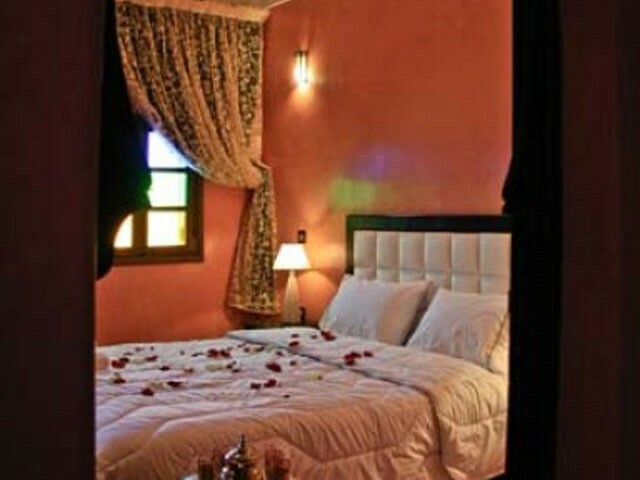 A Riad is a space in the pure Moroccan tradition; everything there is only intimacy, sweetness and beauty. You look for a quiet and isolated place while being in the heart of the city. 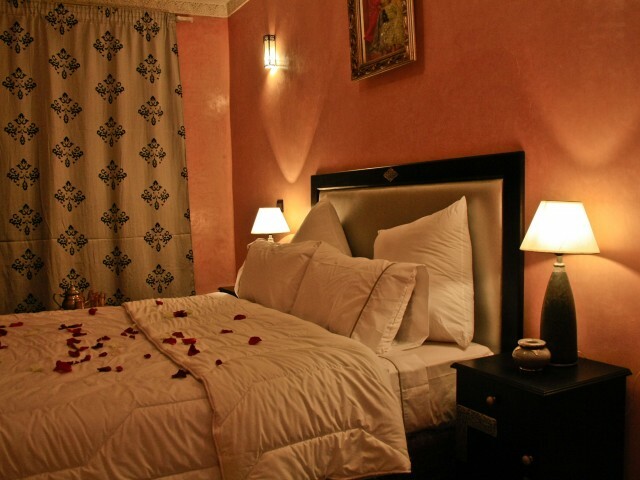 You look for a haven of peace; you do not want stereotype holidays and the formalism of traditional hotels. You knocked at the good door! 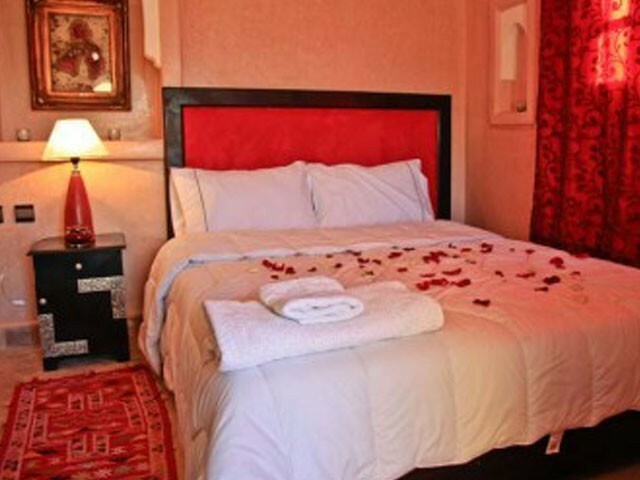 Riad Difani Marrakech is host's house, a warm Riad, attentive to the least of your needs. 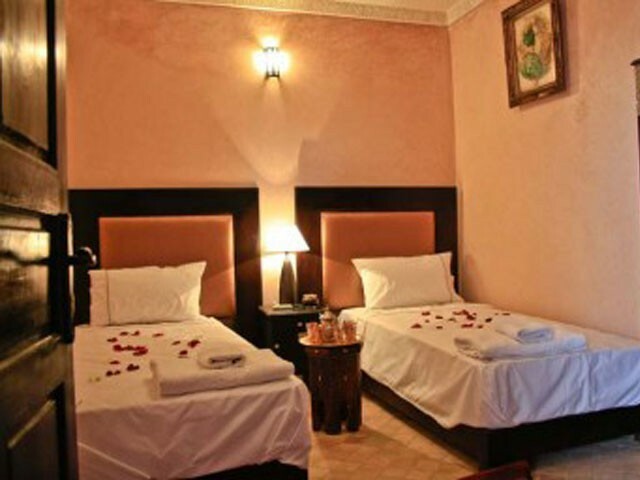 Placed in only some steps of the famous, Place Jemaâ El Fna, benefiting from the aura of the Royal Residence in term of safety and being in the heart of the monumental Kasbah, Riad Difani Marrakech, is conceived to dazzle you. 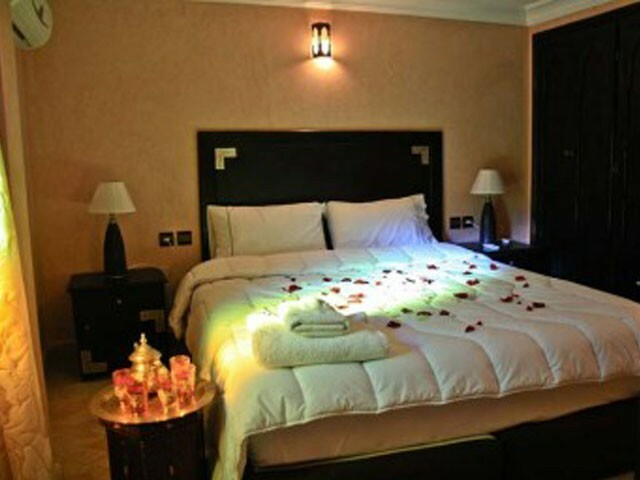 All this is magnificently decorated with three lounges and two wonderful terraces for your only pleasure. The soul of the diamond is the light. 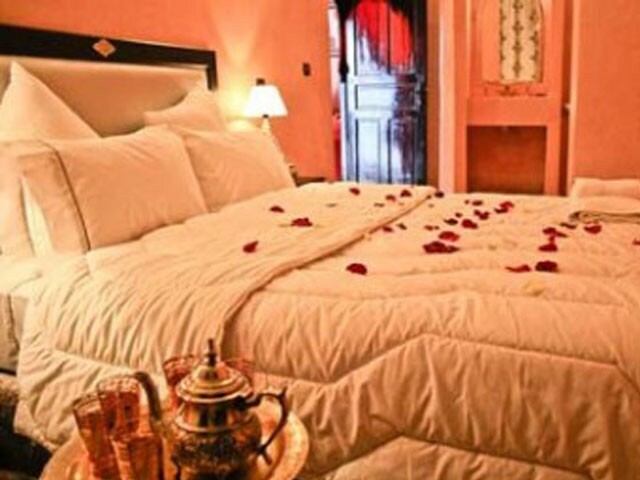 The beauty of silvery foam at sunset has no equal, and when the silver meets the diamond, we obtain a stone while glittering with one thousand lights.A room in the first floor with seen on the lounge, it is a real case of pleasure, a spacious, sophisticated and intimate room. 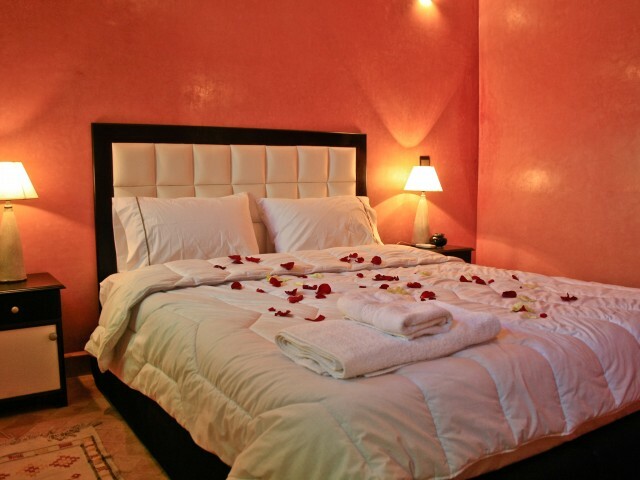 Endowed with a small personal bathroom, this room has everything to delight you. It is magnificently enlightened, quiet and soft. If the diamond is known to be impure, it is not the case of this room, beautiful and pure you will find there all the comfort to which you aspire. It is a variety of cornaline orange-colored, almost red chestnut and without line. It is a part of twelve stones of the Heavenly Jerusalem and symbolizes the moose and the ardor of the sign of the sprinram. 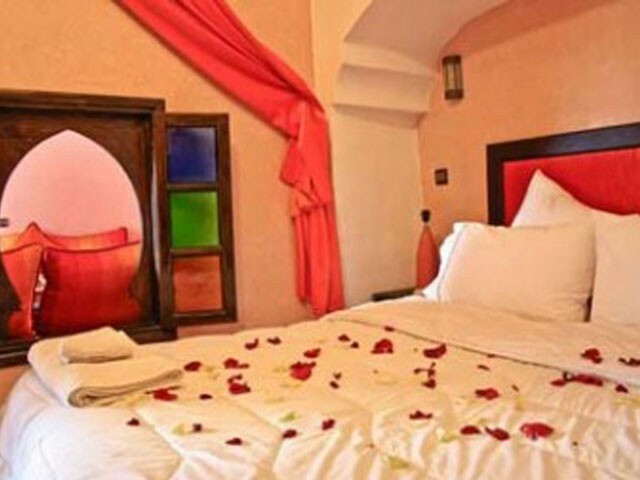 The natural sardoine brings courage and perseverance.It is a roomin the second floor, looking onto the terrace. Endowed with a small adjacent bathroom, this room in the brown tones is the reflection of the courage with which arms himself every person on holidays going off to explore marvels of an unknown city. You will feel in peace with yourself there so much its sobriety and its big comfort are skillful to put its hosts in confidence. 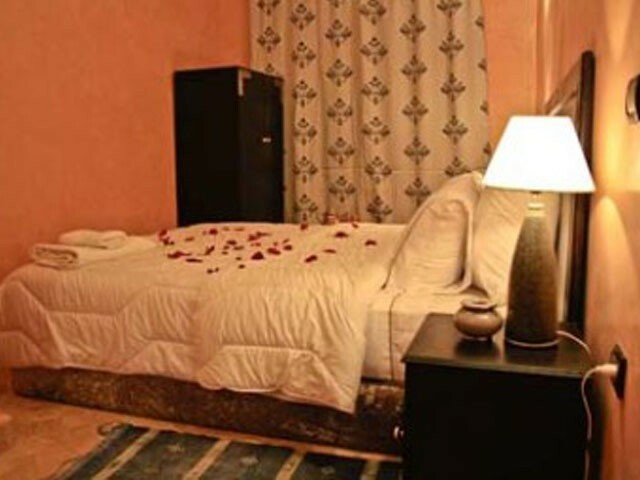 The white opal is the symbol of the loving tenderness, the purity of the feelings, the shared trust and especially the loyalty.Situated in the first floor, looking onto the lounge of this one, endowed with a small bathroom, this double room is a real jewel, an opal. Spacious and pleasant, it allows a beautiful view on the patio on the ground floor. Endowed with an uncluttered design it is the ideal answer to the lovers of the white tones and their neatness. For you and only for your gustative pleasure, we suggest a wide panel of traditional dishes having a rough time on the spot in the request. Indeed whether it is for a breakfast, a lunch or one to dine, we offer you the luck to discover a cooking which so much makes speak about it. 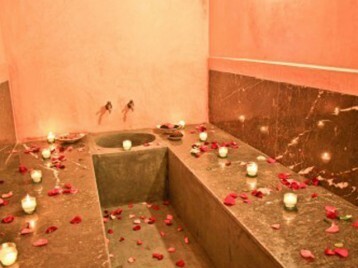 A dream of peace and rest is never really achieved without the relaxation which accompanies a good bath. 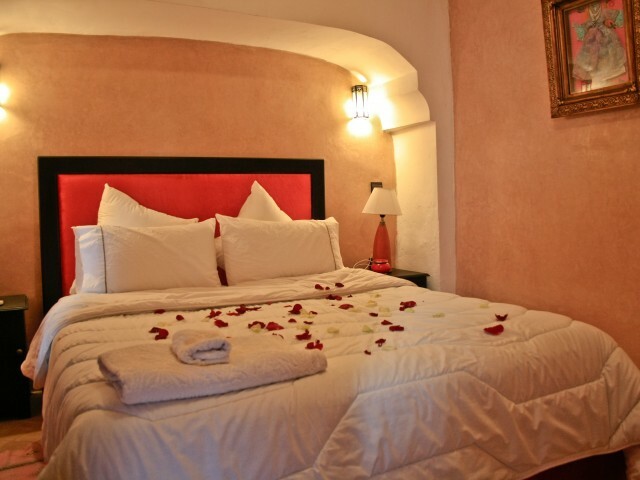 After your long days of discoveries in the alleys of the red city, you can savor a pure moment of relaxation and pleasure. 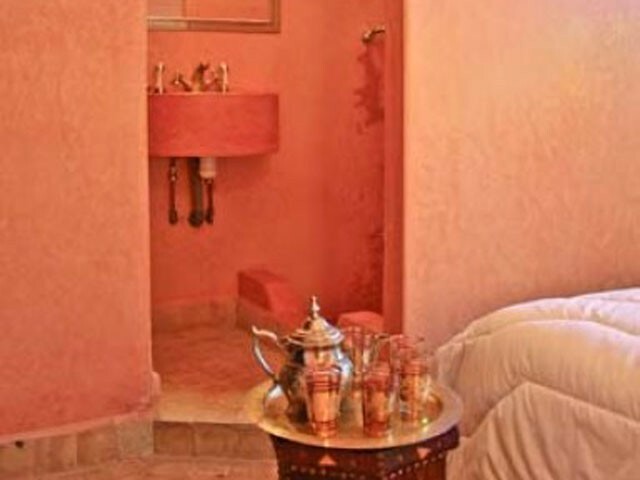 Savor, a Hammam in the complete Moroccan tradition where you can benefit from all the tranquility to which you aspire. The exfoliating gumming by specialists is at your disposal on inquiry. 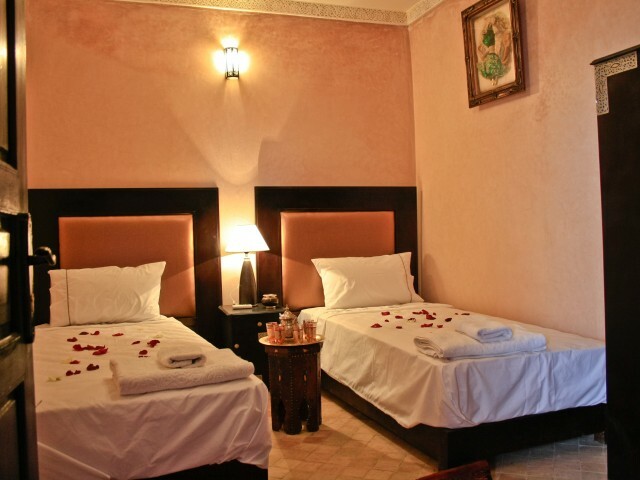 Appreciate the rest of the explorer, the peace that everyone look for trough its holidays, Riad Difani Marrakech offer it to, trough the massages for which it is possible to you to ask at any time. Expert hands, endowed to find your tender spots, relax your body and eliminate any tracks from it of stress and fatigue.